Ace the ABFM Certification Exam with the best Family Medicine board certification online review course. Over 3,000 of the best ABFM certification board review questions online. Over 360,000 ABFM practitioners served. Pass the ABFM Certification Exam with Med-Challenger’s proven system. 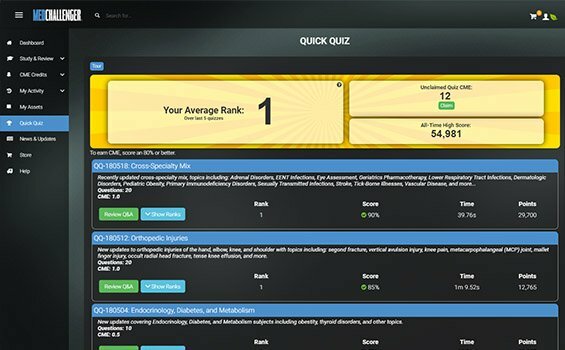 Offering over 3,000 up-to-date Family Practice board certification practice questions with detailed explanations and rationales following the American Board of Family Medicine (ABFM) Certification Exam Blueprint, ABFM exam simulator, and adaptive learning features, Med-Challenger is your one-stop shop for Family Medicine board certification review. We also offer ABFM Recertification Exam Review, Family Medicine CME Requirements Course, & an ABFM KSA Modules Review Course. Ace the Family Practice Board Certification Exam- and ABFM In Training Exams – with the best Family Medicine Board Review Course. 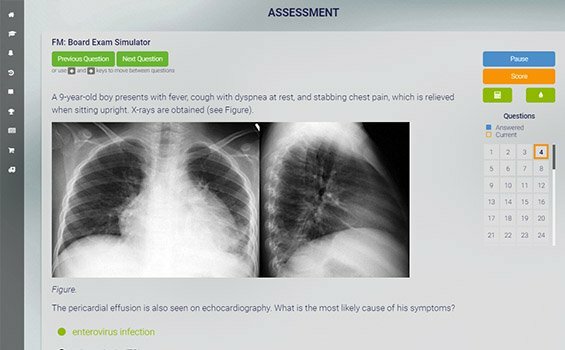 Med-Challenger offers the most exam-focused content and ABFM board review questions. Everything you need to know for ABFM exams and current FM practice. The ABFM Family Medicine Certification Examination (FMCE) is a secure, computer-based, standardized examination that measures clinical decision-making ability and the requisite medical knowledge needed to make decisions as related to family medicine. The examination consists of single-best-answer, multiple-choice questions about diagnosis, management, and prevention of illness, among other topics in the field of family medicine. The content of the FMCE is the same for both candidates seeking initial certification and candidates seeking to continue their certification. In addition to the core portion of the FMCE, each candidate must select one of eight content-specific modules (e.g., Ambulatory Family Medicine, Sports Medicine). The Test Plan Specifications provide the targeted percentage of questions in each content category on the core portion of the examination and a description of the content in each of the content-specific modules. Initial certification requires verification of satisfactory completion of three years in an ACGME-accredited Family Medicine Residency program. Additional information is required for physicians whose medical training was acquired outside the U.S. Continuing certification currently requires a minimum of 300 hours continuing medical education acquired in the six years just prior to the recertification exam as well as verification of a valid and unrestricted medical license. As of 2010, the Family Medicine Certification program will be the process by which one qualifies to take the continuing certification examination. Sample Family Practice Questions from our Question of the Week blog. 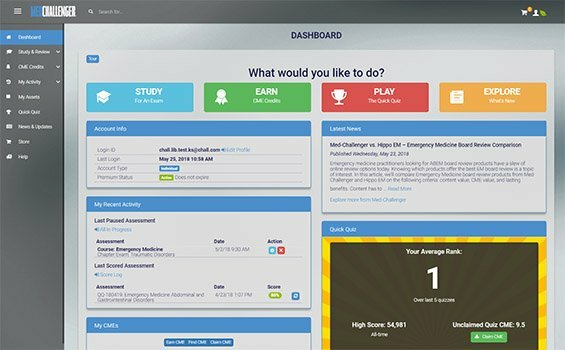 A quick look at why Med-Challenger is the best Family Medicine board review course.